Cecilia Gebruers, who is working on a JSD at the Benjamin N. Cardozo School of Law under the supervision of Dr.Peter Goodrich, director of the program in law and humanities, recently received a fellowship from the American Association of University Women (AAUW) to help her complete her dissertation on how land-grabbing affects the lives of indigenous women in her native Argentina. The AAUW provides fellowships and many other services that help women gain access to educational and economic opportunities, with the mission of advancing gender equity for women and girls through research, education and advocacy. 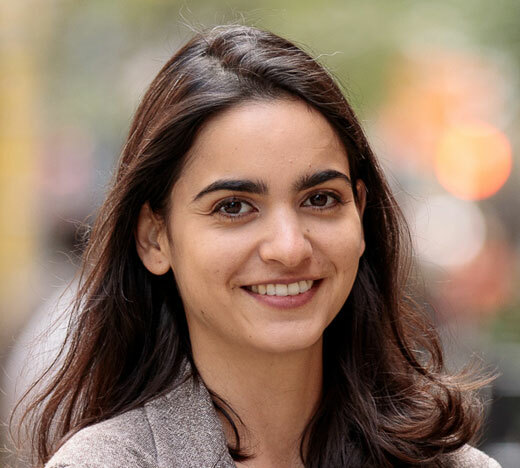 The legal research she is doing now was not necessarily the destiny she foresaw growing up in Santa Rosa, the capital of the province of La Pampa, Argentina. While there, Gebruers worked on legal issues related to violence against women, reproductive justice, political participation of women and care work, working her way up from a research assistant to the manager of the organization’s legal department. As she continued to plan out her future, the name “Cardozo” came back into view. 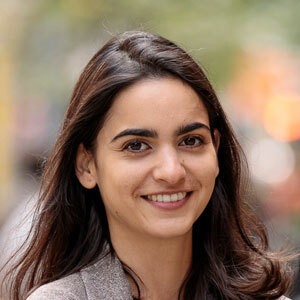 In 2016, with the help of an award from the Fulbright Scholar Program and an International Peace Scholarship from the Philanthropic Educational Organization (or PEO), she came to Cardozo to complete her master’s degree in Comparative Legal Thought. Her dissertation topic is intersectionality in human rights law and legal theory, focusing on a case study of indigenous women affected by land-grabbing in the context of living in La Pampa. The first phase involves explaining the theoretical background of intersectionality and how it applies to the law and the courts, followed up by field work interviews in La Pampa later in the year. Intersectionality is an approach to understanding human identity based not on one-dimensional categories (e.g., one is either a male or female, a white person or a black person) but on how the “intersection” of the multiple descriptors of any single human being—a person can be a woman and black and poor and English all the at the same time—creates a person’s identity as well as determines how the world reacts to that identity. Intersectionality is about a constant effort to think about the complexity of identities and the power relationships behind them. While the topic of land-grabbing involves technical discussions about laws, contracts and deeds, it also touches upon differing definitions of land ownership depending upon whether one’s cultural history privileges private property, as in Western countries, or communal stewardship, as in many indigenous groups. In other words, these definitions are intersectional in nature, and companies are taking advantage of the ambiguity of tenants’ land rights in order to buy the land cheaply or simply expropriate it by force (as in Brazil).